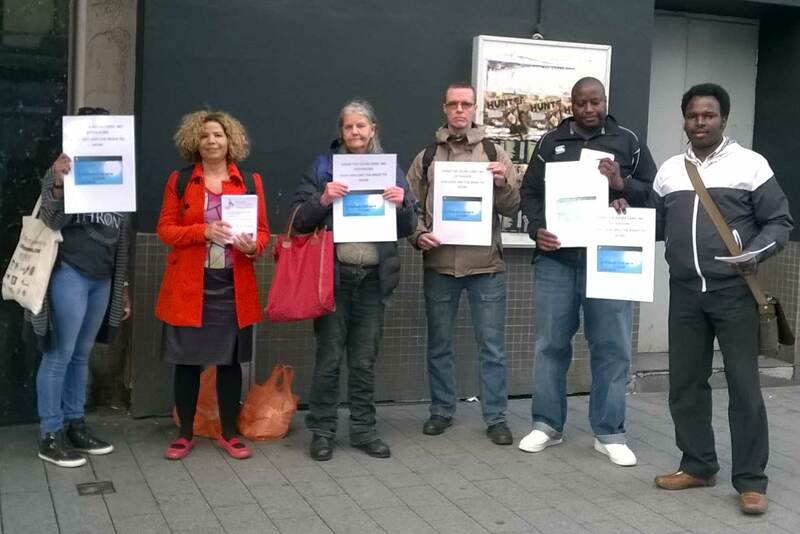 Yesterday, activists from Leicester Civil Rights Movement and City of Sanctuary leafleted outside Sainsburys on Humberstone Gate in protest at the Azure Card Scheme. Asylum seekers are forced to use the Azure card to buy essential goods. It amounts to just £35 a week and this amount has not risen at all since 1999 when it was introduced. The protest was to raise awareness of the scheme amongst members of the public and to call for it to be scrapped. On of the protesters, John Ssenkindu, said that he attended because the Azure card humiliated Asylum seekers, many of whom want to work but are not allowed to. He said the scheme was particularly hard for mothers who sometimes need access to cash for emergencies for example if their children fall ill. 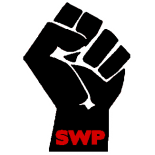 This entry was posted on May 29, 2015 by leicestersocialistworkersparty in Anti-racism, capitalism, Demonstration, Socialism and tagged Asylum Seekers, Azure Card.